FLINDERS Christian College student, Molly McDonald, has been given the chance to take her next big step in her football career with the St Kilda Football Club officially securing the young gun last week. 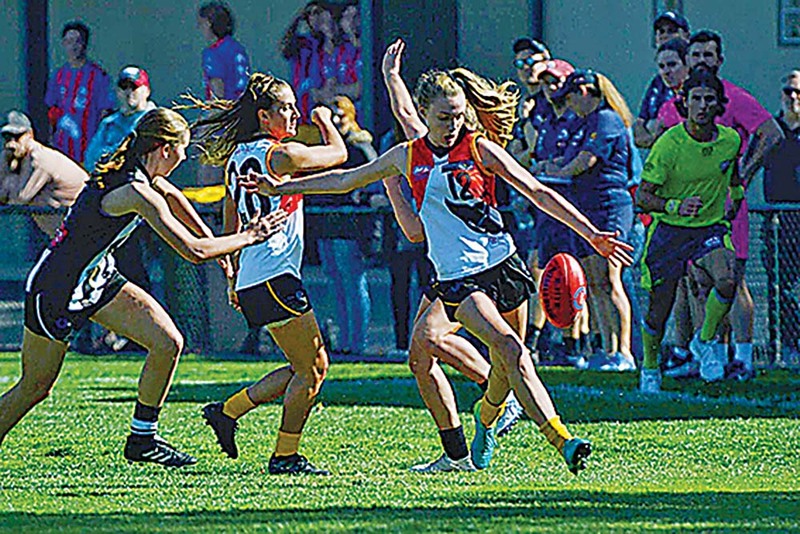 The Year 12 student and captain of the Carrum Downs Flinders campus was pre-selected by the Saints from the Women’s AFL National Academy where the 17-year-old winger showed elite-level endurance and a damaging turn of pace. McDonald, who also plays with the Dandenong Stingrays, said she was stoked to receive the offer. “I’m pretty excited about it all,” Molly said. McDonald had also played representative basketball before focussing solely on her football career three-years ago. It’ll now be a big year ahead for Molly as she juggles both her school commitments, having also been named captain, and her footy career where she’s also committed to playing with the Dandenong Stingrays. But, it’s a challenge her mother, Tracey, believes she’ll grab with both hands. “She’s always made sure to put school in front of everything,” Tracey said.